Pastel funeral spray is ideal for a cemetery or cremation. A mix of seasonal flowers and foliage. 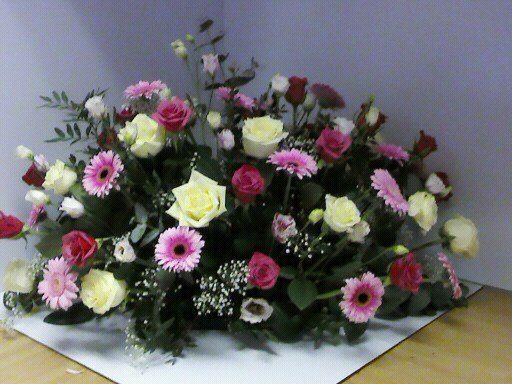 All funeral tributes comes with a hand written card with your own personal message. Deliveries can be arranged throught Fife including towns such as St.Andrews, Cupar, Newburgh and all other villages. This funeral spray can come in a variety of sizes and colours.